Why did Governor Douglas rush this treaty process – before even getting the terms from his superiors? One of the enduring mysteries of the Fort Victoria Treaties initiated in the early 1850s with the Indigenous people of southern Vancouver Island is why Chief Factor James Douglas (later Governor) inaugurated these agreements before receiving any formal treaty language promised by Archibald Barclay, Secretary of the Hudson’s Bay Company (HBC). And indeed, the HBC ultimately sent Douglas the land transfer agreement form (similar to that used in New Zealand with the Maori people) to use as a guide. Douglas had been waiting for this for some time, but all of the sudden was prompted to call the chiefs to Fort Victoria for impromptu treaty councils. He instructed his officials to collect the chiefs’ “X’s” – as a sign of consent – on a blank sheet of paper for later application once the official Barclay text was in hand. Why didn’t Douglas continue to wait? This is one of the great mysteries of BC history. To my mind, the founding of Fort Rupert in 1849 on northern Vancouver Island provides a compelling explanation. 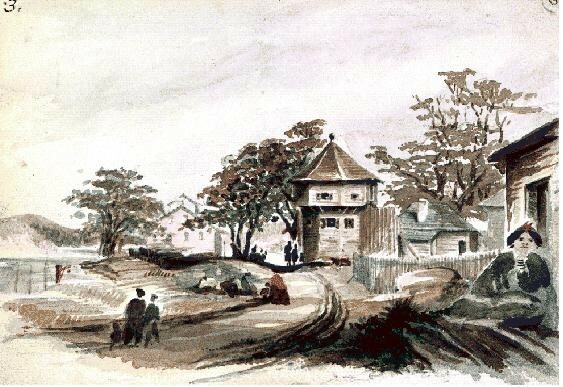 Fort Rupert (Tsaxis) in 1885. 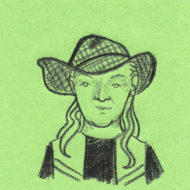 George Dawson of the Geological Survey of Canada. Public Archives of Canada. In my previous article, I described how the introduction of professional British miners to early Fort Rupert led to work stoppages by the Kwakwaka’wakw people employed by the HBC to collect coal. While HBC authorities had been discussing the need to purchase the Indigenous title for years, Blenkinsop took action himself without further consultation with Douglas and concluded early treaty arrangements prior to the treaty councils of southern Vancouver Island. The treaties concluded on southern Vancouver Island involved inviting the local chiefs to Fort Victoria for consultation, but far-flung Fort Rupert had infrequent communications, delivered from a substantial distance by the SS Beaver. The Fort Rupert Journal recorded, 21-27 January 1850, that Douglas was at Beaver Harbour with Eden Colville, Governor of Rupert’s Land. They likely conferred about Douglas’ plans to convene treaty-making councils in Fort Victoria, which did not occur until some four months later. Douglas was in Fort Rupert less than three months before the Blenkinsop purchases.
. . . Dispatched a canoe this afternoon with Bottineau [one of the fort’s Interpreters], Tizer, 2 miners, and 8 Indians, also [Head Chief] Waawaatie and [Chief] Jim, to Fort Victoria with letters to the Board [of Management]. Provided them all with muskets, ammunition, and provisions necessary for the voyage. Terms of payment to be found in the letter-book. Unfortunately, the letter book for Fort Rupert is nowhere currently to be found. But the fact that two chiefs (and eight other Indigenous peoples) and one of the fort’s interpreters left in a canoe just three days later for Fort Victoria is an important point to be considered. Departing 18 April 1850, these Chiefs and other members of the Kwakwaka’wakw (specifically the Queackar and Quakeolth Tribes) started out just 11 days before the first Fort Victoria Treaty was concluded in southern Vancouver Island. This suggests their arrival would have been contemporaneous to the first treaty-making councils held at Fort Victoria, and more probably that they arrived just before the first meeting. This is significant. It would mean the earlier Blenkinsop transaction, therefore, was the first HBC land purchase conducted in British Columbia, rather than the treaties concluded with southern First Nations. Douglas was no longer waiting for Barclay [the HBC Secretary] to send out ‘the proper form’ but had evidently written the remainder of the text himself, following in part the wording of his own May 16, 1850, letter to Barclay. He had, in fact, settled on the wording of the texts by 1851, when he wrote the complete texts of the Fort Rupert treaties at a single sitting. Again, why did Douglas not continue to wait for the exact language promised by the HBC? Once Douglas obtained the legal language extracted from New Zealand, he did not reconvene the treaty councils of Fort Victoria to have the chiefs re-sign and mark their “X’s” anew. The blank sheets carrying these marks were simply attached, or perhaps transcribed, to the newly-prepared treaty language. It’s possible that Douglas would have prepared the Fort Rupert Treaties with Blenkinsop’s original transaction (and the Chiefs’ marks of consent) having been already obtained. This offers a potential explanation for the intervening ten or so months between Blenkinsop’s purchase (15 April 1850) and the formal treaty later prepared by Douglas himself (8 February 1851). But to my mind, the arrival of the Kwakwaka’wakw chiefs with news of the earlier Blenkinsop transaction threatened to upset all of Douglas’s planned treaty-making on southern Vancouver Island. From an HBC perspective, if word leaked out about the land purchases to the north, this conceivably could inflate demands in treaty-making efforts in the south. We know that Douglas was upset about what Blenkinsop had done. In fact, the principal reason Douglas decided to initiate treaty-making in and about Fort Victoria before obtaining the Barclay language is primarily due to what he must have viewed as Blenkinsop’s precipitous actions. 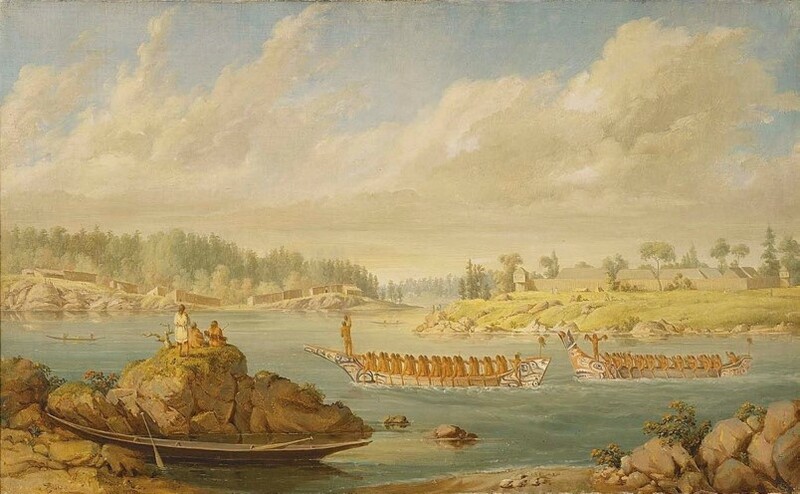 Given that the Queackar and Quakeolth Tribes had initiated negotiations and demanded payment for their lands at Fort Rupert (as opposed to the other Fort Victoria treaties inaugurated by Douglas himself), the unexpected arrival of chiefs from Fort Rupert carrying the more costly Blenkinsop land purchase agreements would have been the key reason for Douglas to quickly gather the Chiefs of southern Vancouver Island. He had to, before word got out that the proactive stance of the Kwakwaka’wakw had secured a greater variety of trade goods. 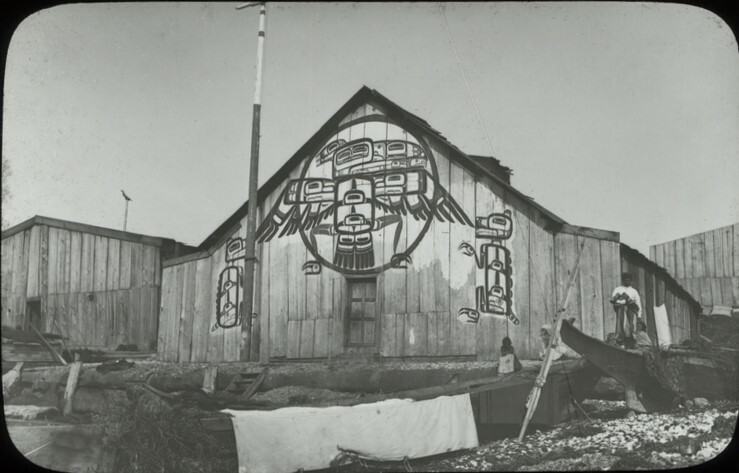 Douglas wasted no time with the unexpected arrival of the Kwakwaka’wakw chiefs, and quickly collected the southern chiefs’ “X’s”, giving verbal guarantees through HBC interpreters – but without any formal legal document. This, then, is the likely explanation to the mystery of why Douglas hastily convened the southern Vancouver Island Treaty councils, before having secured formal treaty language from the HBC. His award-winning documentary, Canyon War: The Untold Story, has aired on Knowledge Network, APTN, and PBS. His latest book, Claiming the Land: British Columbia and the Making of a New El Dorado, was awarded the Basil Stuart-Stubbs Prize for Outstanding Scholarly Book on British Columbia, and is available in bookstores across B.C.